Elena Perseil's gown is crafted from lightweight silk and lace with an assymetrical design. 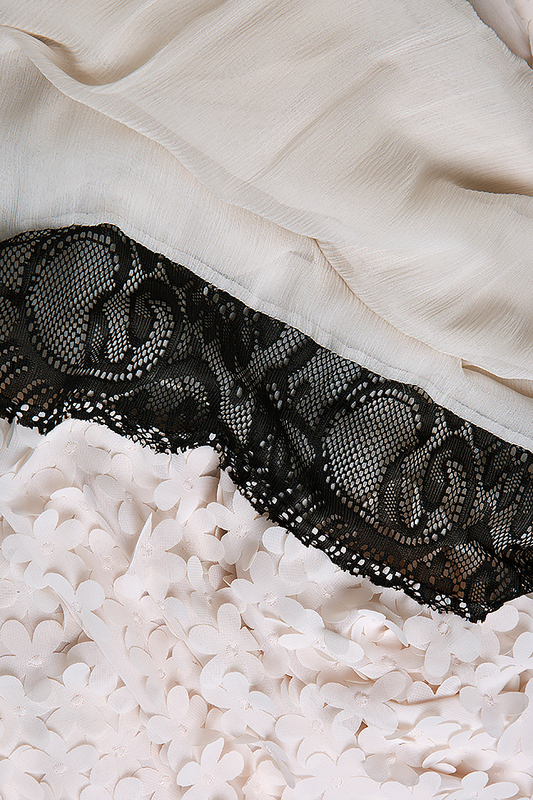 It's hand-sewn in her own studio in Paris and the black lace transparencies give it a feminin touch. Wear it to your next formal occasion with heels or mules and silver jewelry. Our model measures (cm) 87-65-92. Height is 177 cm and the product is size S (36).